Ensure that IT infrastructure and IT services can be restored within specified time limits after a disaster. 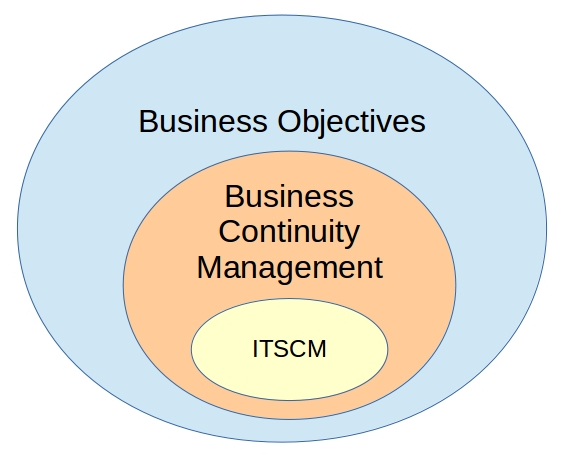 These are the basis for planning the Business continuity plan (BCP). These are based on the Service Level agreements (SLA). This process deals with disasters impacting IT services. It maintains services to allow a business to continue to operate in the event of a disaster. Initiation defines policy, scope, allocate resources and set up project organization. Requirements and strategy will need to be defined. A business impact analysis (BIA) has to be done. Service analysis will also have to be done. this will analyze essential IT services based on the SLA. Dependencies must be assessed also. Risks affecting the business will then have to be analysed. The ITSC manager also has to identify the threats and vulnerabilities. 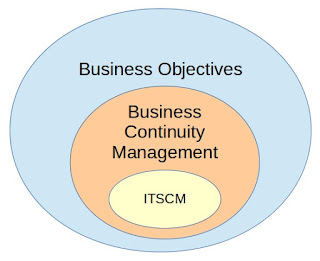 ITSCM strategy must then be defined. The strategy can be risk reduction or recovery planning. The next step is to implement the plan. This includes setting up the organization, developing the plan and testing it. Operation management requires training non-IT staff on the DRP. It requires regular review and testing. Any improvements or changes have to go through the Change management process.